EBU lightweight champ Emiliano Marsili (28-0-1) defends the title against Frenchman Anthony Mezaache (24-7-3) June 7 in Tolfa on a OPI 2000 promotion. OPI 2000 have taken a lot of heat from Hatton Promotion in regards of the cancelled Sergey Rabchenko vs Emanuele Della Rosa but one question that is not answered is what Rabchenko was doing back home in Belarus when he normally trains in the UK for all of his big fights with Richie Hatton as trainer but for this - his biggest fight yet - he was back in Belarus. Stefan Hartel, 26 and one of the best German amateurs in recent years, have signed with Sauerland Event and will make his debut August 16. 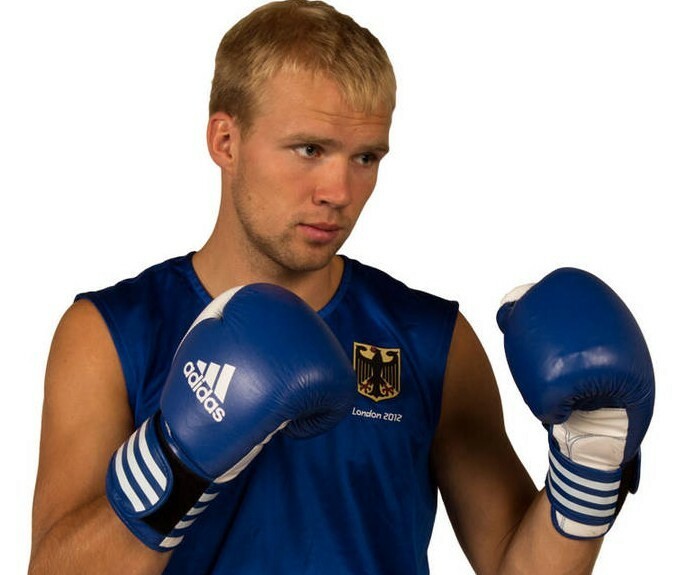 Hartel (pictured) reached quarterfinals in the 2012 Olympics competing at middleweight and have won four German championships. -We stand strong with Hartel, Tyron Zeuge and Enrico Kolling and also Jack Culcay and Noel Gevor to go with our four world champions, said promoter Kalle Sauerland at a press conference today in Berlin. Turkish jr welter Selcuk Aydin lost clearly to Viktor Postol Satuday night in Inglewood and trainer Robert Rolle feels there were many mistakes made in how Aydin made weight. -Selcuk can make 140 lbs but not in the way he did it taking off a lot of weight in a short spam of time, you can´t win a fight that way. He was about 50% of what he had shown in training, says Rolle.